5 Signs Your Office Carpet Needs Professional Cleaning | Crystal Clear Enterprise, Inc.
A classy carpet or rug can completely transform your office. They add a sophisticated look to your facility, reduce noise pollution, and provide sufficient insulation from cold. Hence, neglecting them is a great offence. Your office carpets may be housing dust, dirt and multiple allergens. 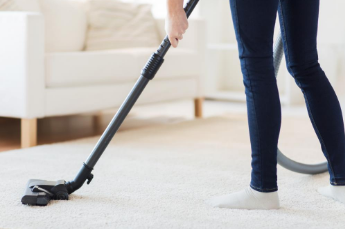 You may even have scheduled a daily vacuuming service, but with time, your carpets require deep professional cleansing. Here’re some signs that determine it’s time to schedule a detailed commercial carpet cleaning. If you can see visible track marks on your carpet, it’s time to schedule a professional cleaning. The carpet’s fibers sustain wear and tear daily, which makes them saturated with dust, dirt, grime, and oil. Once the fibers have reached its saturation point, you will start noticing obvious traffic marks on your carpets. Your carpet may appear fine on the surface, but underneath, there are a lot of wear and tear in process. If you start noticing discolored patches on your carpet, it’s time for deep cleaning. Remember, if you neglect this problem, you might even have to replace your carpet. Odor emitting from the carpet is not only unsanitary, but can transform into an office epidemic. With time, dander, dirt, molds, bacteria and allergens accumulate within the layers of your carpet, which creates an odor problem in the office. If you have placed a waste basket over a ketchup stain on your carpet, you are due for a professional cleaning. If you leave stains untreated, they become stubborn and with time they start emitting odor and make your carpet prone to molds. If you have a stubborn stain on your carpet, get it removed. Water can damage fabric, causing your carpet to become delaminated. When water damage is left untreated can further cause mold and must in your carpet. Water damage can occur from a leak in the water lines or extremely high humidity. Commercial buildings need to be free of dust mites and molds; a dirty carpet can tarnish the structural integrity of your office. Call (816)763-3353 for a complete carpet cleaning package from Crystal Clear Enterprise Inc.
Our commercial carpet cleaning include hot water extraction, bonnet cleaning, low moisture cleaning, dry cleaning, rotary shampoo cleaning. Apart from this, we have a fleet of highly trained staff that performs floor cleaning, janitorial services, specialty services.